Pineapple flowers are such a beautiful addition to any dessert don’t you agree? I made a cake during the weekend that consisted of an Orange cake filled with Pineapple curd, homemade pineapple jam and dried pineapple flowers. Alot of people were loving that cake. I have to admit, I’m in love with this one as well 🙂 This is my first time baking these flowers and I was pretty happy with the way it turned out. 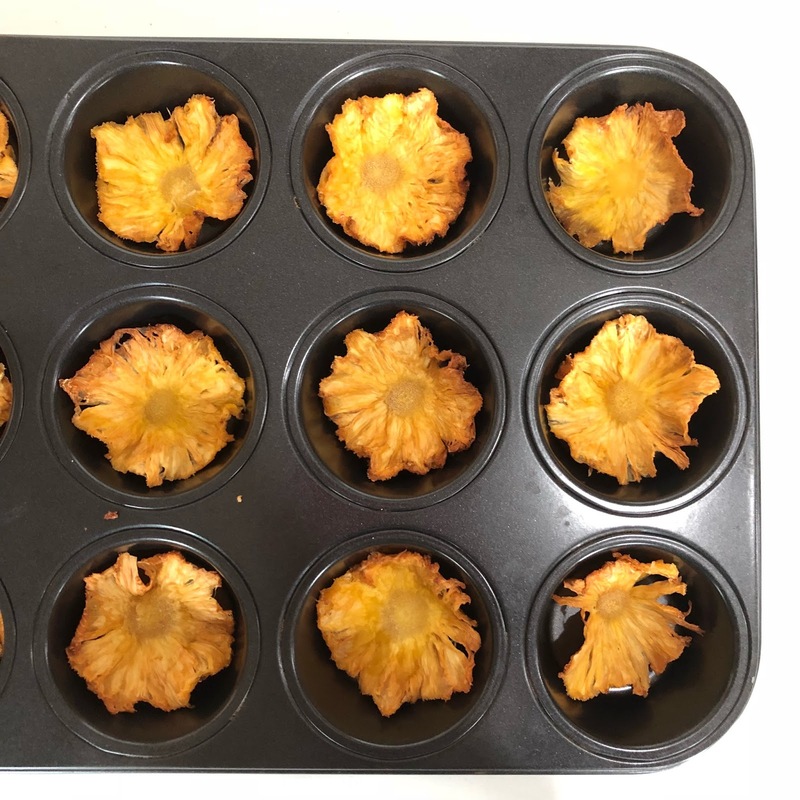 You can check out the Pineapple cake I made below that incorporated these Dried Pineapple flowers as decoration. Meanwhile the process of making these beauties are shown below. 4) Bake at 100Deg C for 2-3 hrs. ( It depends on how thick a slice you cut. The thinner slices took about 2 hrs while the thicker ons took about 2.5 hrs). 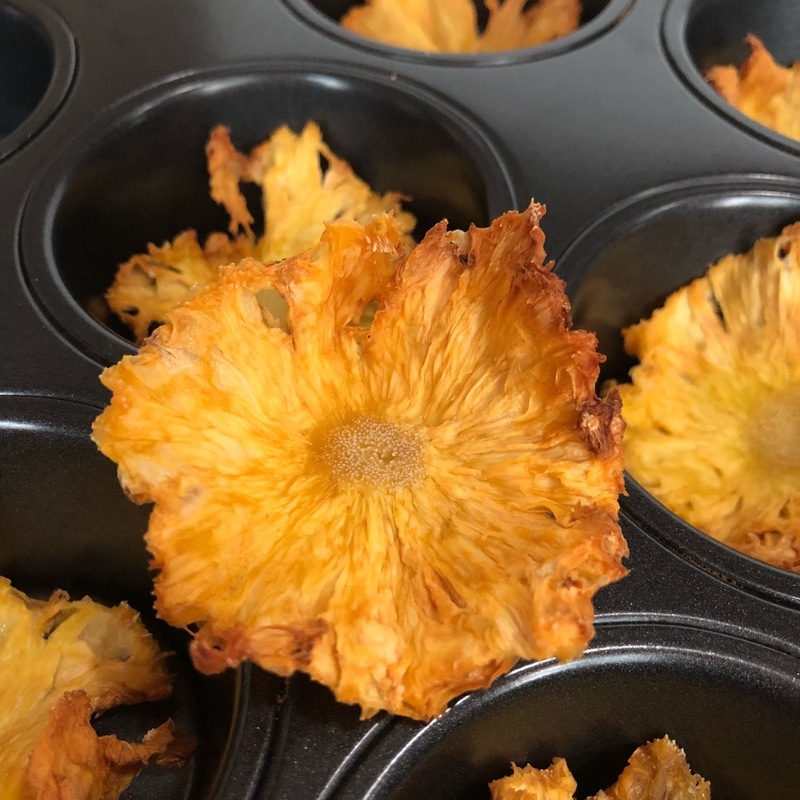 When the flowers are still warm after 2 hrs, remove them from the oven and place them in muffin/ cupcake trays to shape up and dry for awhile ( 1 hr). 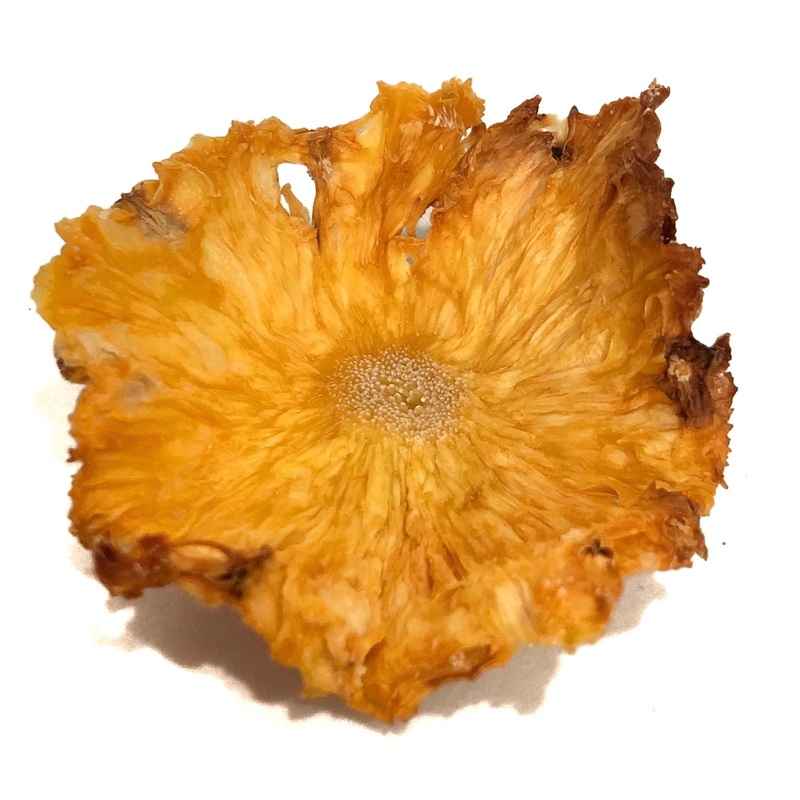 These dried Pineapple flowers should curl up beautifully with crispy edges. 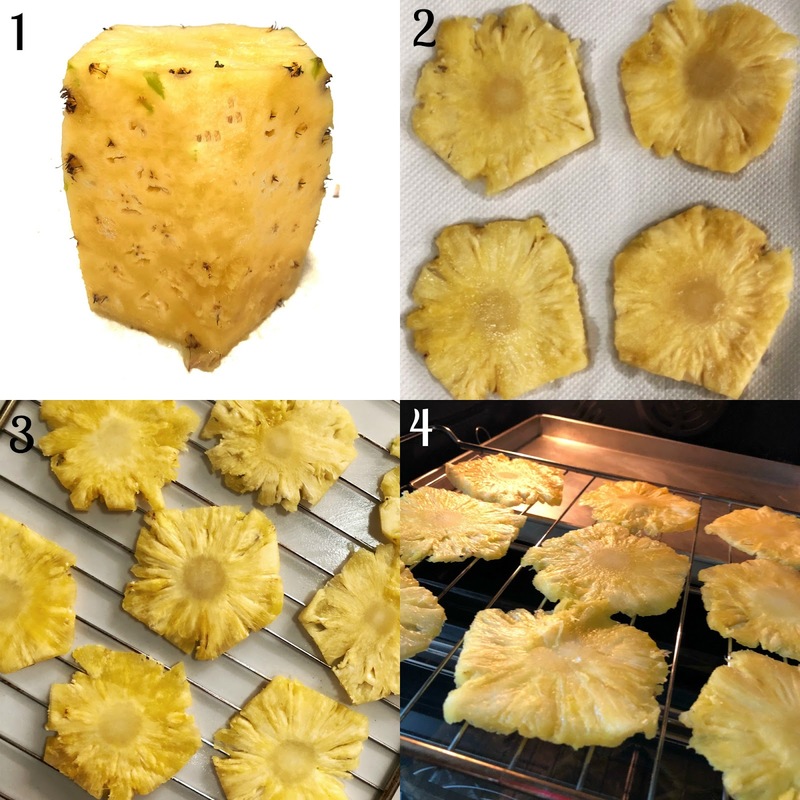 Decorate the cake with the dried pineapple flowers that you have made. 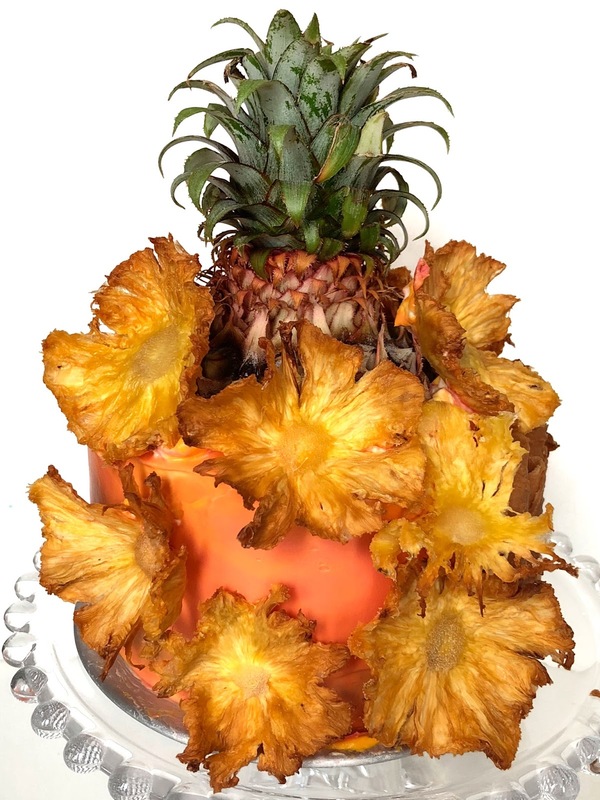 Below is a cake I made using these pineapple flowers. Hope you guys get cracking and making your own. I realize that if you save the pineapple “head”, it might come in handy when decorating the cake. I wasnt intending to use it as part of the cake decor but it just made its way on the cake.